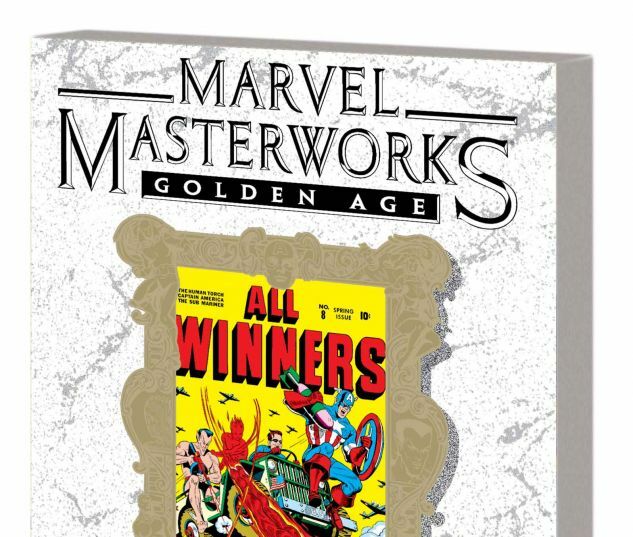 You've been conscripted into the Golden Age in all its glory with ALL-WINNERS COMICS! 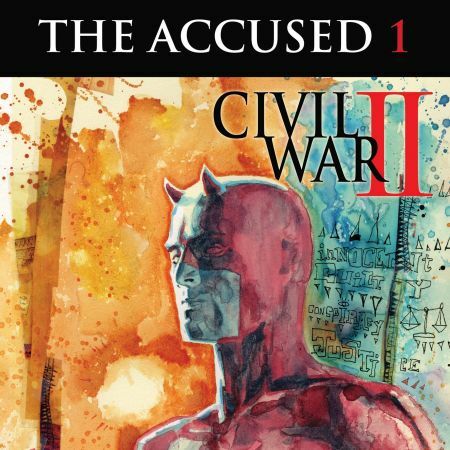 Captain America stops a plot against General Douglas MacArthur! The Human Torch foils a plan to freeze the English Channel! 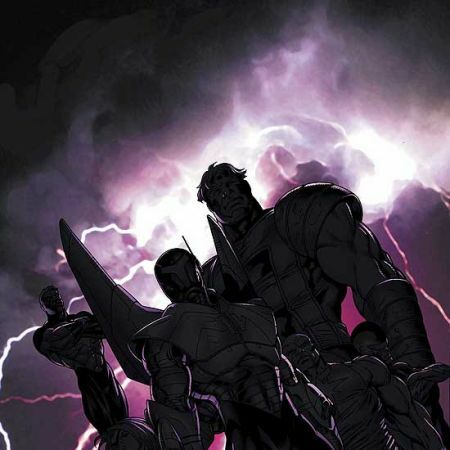 The Destroyer fights the forces of the Devil himself! Plus: the Sub-Mariner, the Whizzer and more! 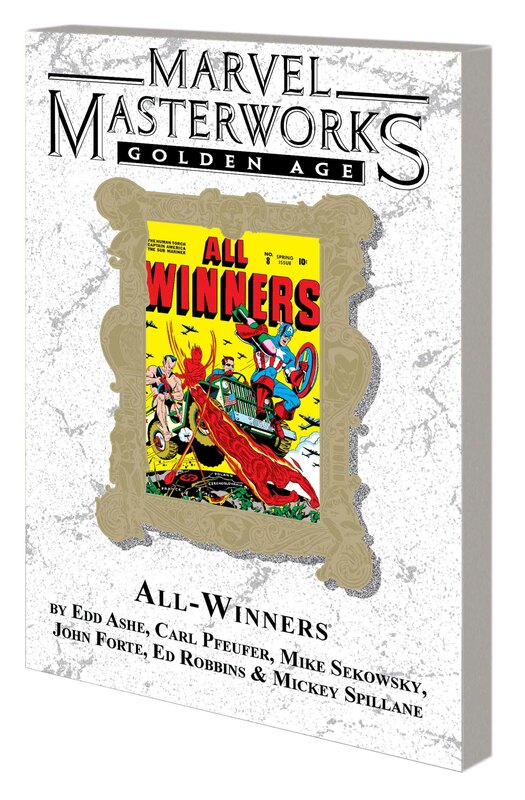 With such wartime villains as the Stone-Man Slayer, Doctor Togu the Vampire, the Mock Mikado and Doctor Crime - and little-known characters like the Black Avenger, Raffles the Cracksman and Slow Motion Jones - there's no way you can lose with this spectacular collection of Golden Age tales! 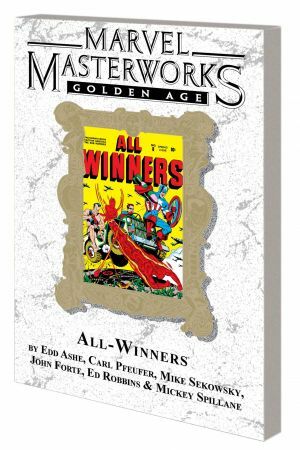 Collecting ALL-WINNERS COMICS (1941) #5-8.